Does Spirulina Work for Lowering Cholesterol? ​If you’ve walked through the nutritional supplement aisle of your local pharmacy or health foods store lately, you have probably noticed the many brands of spirulina on the shelves. Spirulina has also become an increasingly popular supplement that is used to treat a variety of health conditions. Because of its coloring, spirulina is also used as a natural blue dye in some foods and candies. Some studies have examined the use of spirulina in treating certain ailments such as fatigue, obesity, high blood sugar levels and certain conditions of the immune system—all with mixed results. There is also some evidence that spirulina may help to improve your lipid profile by increasing your HDL levels and lowering your LDL, total cholesterol, and triglycerides. There are a handful of studies that have been conducted that show spirulina’s promise in keeping your cholesterol and triglyceride levels healthy. Most of the studies had only a small number of participants that were generally healthy. However, there were a few studies that included people with high cholesterol levels or diabetes. Up to a 10 percent decrease in their total cholesterol levels. Anywhere between a 3 percent to 13 percent increase in HDL cholesterol levels. Triglyceride levels lowered by at least 16 percent. Up to an 11 percent decrease in LDL cholesterol levels. These results do not appear to be dose or time-dependent—that is, taking spirulina at a higher dose or for a longer period of time does not necessarily mean a larger effect on your cholesterol or triglyceride levels. Despite the favorable results seen in studies, there is not a lot of information on exactly how spirulina affects your lipid levels. Some studies suggest that components of spirulina, including C-phycocyanin and gamma-linolenic acid, may be responsible. It is thought that the protein, C-phycocyanin, works by affecting lipid metabolism, whereas gamma-linolenic acid may possibly affect the way lipids are made in the body. Should You Add Spirulina to Your Cholesterol-Lowering Arsenal? The verdict is still out on whether or not spirulina should be used to lower your cholesterol and triglyceride levels, but the studies conducted so far have shown some promising results. Because of the wide range of doses and time periods that spirulina was used in studies, it is hard to pinpoint an exact dose you should take for it to have an effect on your lipids. 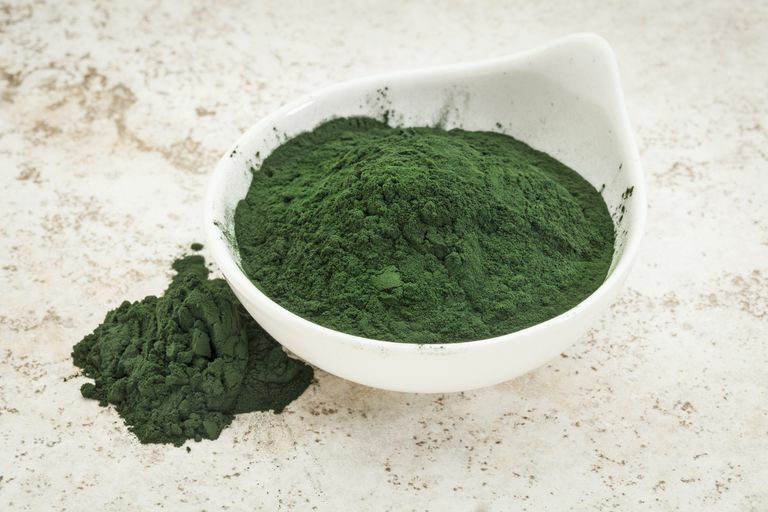 Additionally, current supplements on the market vary in the amounts of spirulina per supplement. There is also a concern of heavy metal contamination, depending on where and how the blue-green algae were harvested. If you are interested in using spirulina to lower your lipids, make sure that you discuss this with your healthcare provider first. Spirulina may interact with other medications you are taking or affect certain medical conditions such as diabetes and disorders with blood clotting. Your healthcare provider may be okay with you adding spirulina as a supplement, or may suggest another, better-proven method to lower your lipids. Mazokopakis EE, Papadomanolaki MG, Fousteris AA et al. The hepatoprotective and hypolipidemic effects of Spirulina (Arthrospira platensis) supplementation in a Cretan population with non-alcoholic fatty liver disease: a prospective pilot study. Ann Gastroenterol 2014; 27: 387-394. Park HJ, Lee YJ, Ryu HK et al. A randomized, double blind, placebo controlled study to establish effects of spirulina in elderly Koreans. Ann Nutr Metab 2008; 52: 322-328. Serban MC, Sahebkar A, Dragan S, et al. A systematic review and meta-analysis of the impact of Spirulina supplementation on plasma lipid concentrations. Clin Nutr 2016; 35: 842-851. Torres-Duran PV, Ferreira-Hermosillo A, Juarez-Oropeza MA. Antihyperlipemic and antihypertensive effects of Spirulina maxima in an open sample of mexican population: a preliminary report. Lipids Health Dis 2007; 6: 33. Can Berberine Lower Your Lipid Levels?